Decorate your own Rudolph! 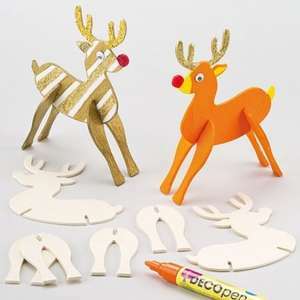 Assemble the wooden reindeer then decorate with our acrylic paint, Deco pens, stick-ons and wiggle-eyes. Assembled size 14cm. You need to put that delivery is from £2.75 in your post. Cold from me for that reason. Still cheaper than hobby craft and if you buy non sale you get 15% off with a code The p and p doesn't change with amount either which is good. 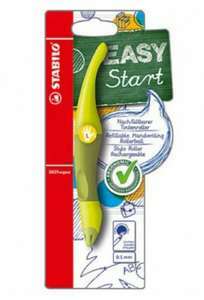 The post also balances out as the kits and other crafts are so cheap compared to others. If you had a child who writes left handed and struggling, you would understand. It really does help. Suggest you add the name of the retailer to the title. lots of cute reindeer on here-heat added. Isn't that technically a "partially submerged skateboard" ? Loads of craft and party bargains up to 50% off, sale now on. just to let you know i didn't add the postage!!! kids arts and crafts and many more. all of them up to 50%. 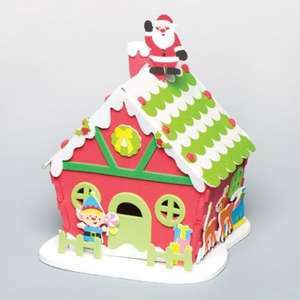 free delivery on all orders over £50 or £2.99 p&p orders under £50. Shared Via The HUKD App For Android. You can't put these up where I live, Otherwise the council fine you for being racist against muslims or something. One of my favourite Christmas phrases - "that would look better with a bit of gold spray". Recently bought 3 of these gold sprays. 2 didn't work at all. Be warned. CLEARANCE Loads of items here, too many to list. Hopefully be some things of interest. Ideal gift for my great-nephew NOAH! :thumbsup::-D Heat added. savage spider bulging brains and eerie eye balls for 2.99 you can go wrong for boys xmas gifts or party presents. My local Asda is selling these at £2.50 at the moment. I picked a couple up yesterday! ought to mention the £3.95 delivery charge unless spending over £75.